The 2018 NC State Learning Technologies: All Faculty Survey was administered to gather feedback about how well NC State’s enterprise learning technologies are meeting the instructional needs of all faculty teaching face-to-face, blended, online/distance education courses, and on-campus internet courses. The Student Evaluation of Online and Distance Education Services survey is undertaken annually in the spring academic term with the primary goal of measuring the effectiveness of online and distance education student services and support toward helping students achieve their academic goals. The Faculty Evaluation of Online and Distance Education Services is an annual survey administered to faculty teaching distance education (DE) courses at NC State. The goal is to assess the alignment of DELTA services with the needs of DE instructors to help ensure optimal student learning outcomes. 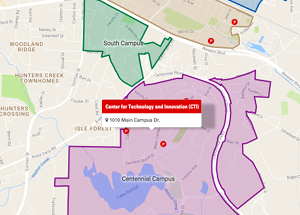 DELTA Testing Services at North Carolina State University provides local and remote proctoring services for distance education (DE) faculty and students. Our proctoring surveys help us gauge students’ experiences of efficient, effective service and secure, distraction-free testing environments in support of students in achieving their academic goals. Outcomes associated with faculties’ experiences in DELTA’s Summer Shorts in Instructional Technologies workshops and seminars. Summative results from a 2003 – 2013 DELTA Grants evaluation study.